Member of the band Stuck in Your Radio who gained fame with the Machinima Happy Hour show, Sanity Not Included. 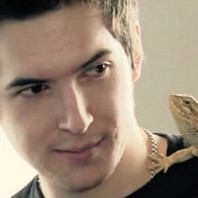 He is also known on YouTube as ImmortalHD. He left Russia at the age of eight, immigrating to the United States. He started posting YouTube videos with the rise of Minecraft machinimas. He was raised in Russia and Colorado. He frequently posts photos on Instagram of his dog. Josh Chomik also gained fame as a YouTuber.